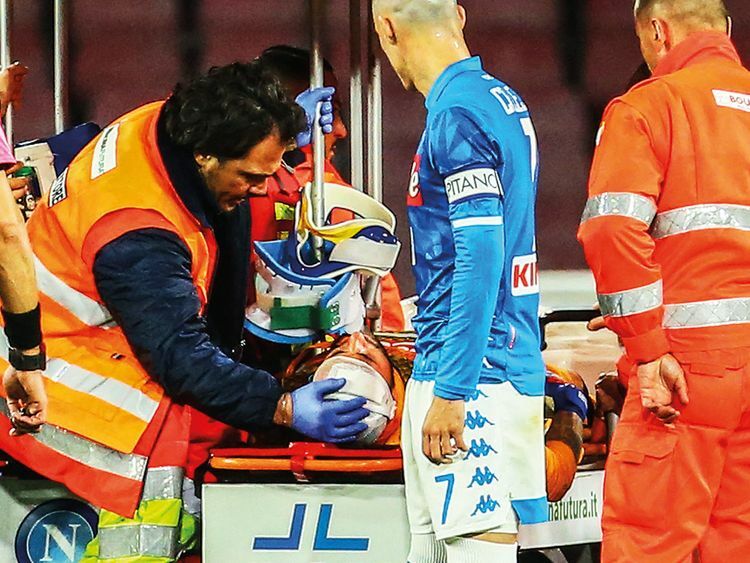 Milan: Napoli goalkeeper David Ospina has been placed under observation in hospital after collapsing on the pitch following a knock to the head in his team’s 4-2 Serie A win over Udinese on Sunday. “Fortunately it’s nothing serious, he’s conscious, they did a CAT scan that is negative, he’ll remain under observation,” said coach Carlo Ancelotti. Napoli later released a statement saying Ospina had suffered “a hypotensive crisis resulting from a head injury”, which is a sudden fall in blood pressure which can cause dizziness and fainting.